If, like me, you’re already starting to plan what you’re going to cook on Christmas day, then this is THE competition for you. Whatever your take on Christmas, one of my Christmas faves is having a home filled with loads of friends and family, creating and sharing a massive Christmas lunch and then enjoying a Boxing Day curry. Sometimes, though, even the best laid plans go awry and nobody wants dinner to be an unmitigated disaster if you are let down by your oven. Pulling ruined food from your oven can singe your heart, so for our latest competition, we’ve teamed up with the fab folk at Hotpoint to bring you the answer to such kitchen nightmares. The winner of our latest free-to-enter competition will look forward to getting creative in the kitchen as they’ll win a Hotpoint SI4 854 H IX 595mm built-in electric oven! This great looking oven features Hotpoint’s brilliant Multi-Flow Technology. Multi-Flow ensures that there is a completely even cooking temperature throughout the whole oven. 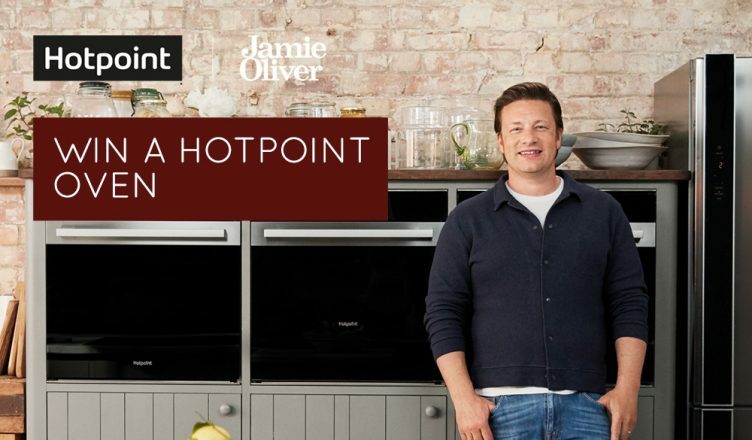 This means that foods are cooked perfectly, from one side to the other and from the inside out – ideal for perfecting your own favourite dishes or why not make like Jamie Oliver and use the Hotpoint Multi-Flow technology to rustle up the perfect lasagne. Whether you’re baking delicate pastries or slow-cooking a leg of lamb, the Multi-Flow technology will take the guesswork out of your cooking and baking. The Hotpoint S14 854 H IX is easy to control and easier still to operate, thanks to Hotpoint’s electronic Mono Dial. You’ll also find eight traditional and six automatic functions that include grill, defrost, pizza and bread settings, ensuring you always have the ideal temperature for cooking your favourite ingredients and meals. If you prefer to use your time creating and eating – not cleaning – then this is the oven for you! This Hotpoint S14 854 H IX uses Hotpoint’s exclusive Hydro Clean Technology. Hydro Clean is a short 35 minute cycle which cleverly uses the power of steam to remove fat and food residue, removing the need to use harsh chemicals (or much in the way of elbow grease!) After the cycle completes, just wipe the oven interior down with a damp cloth to restore the like-new appeal. Hotpoint’s Tilting Grill complements Hydro Clean, by simply unhooking to give you easy access to clean the roof of the oven, before sliding the grill simply back into place. The outside will stay looking great; Hotpoint have even applied an anti-fingerprint coating to the oven’s exterior. 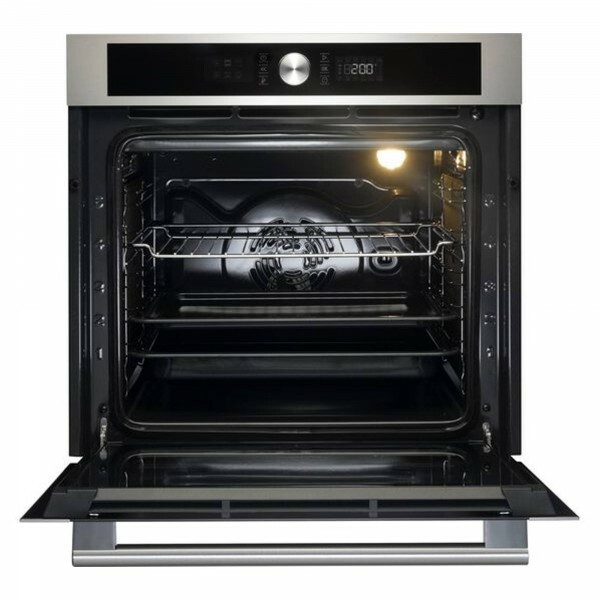 This gives the outside a greasy-finger resistant finish that will keep your oven surface gleaming and bright. Designed for households that love good food but don’t want a lot of fuss or complication, the Hotpoint S14 854 H IX gives you an impressive 71L of capacity, an A+ energy rating and puts the power at your fingertips for exceptionally easy cooking, allowing you to relax and enjoy entertaining. Whether you love to bake cakes or want to perfect your Sunday roast, this Hotpoint oven will be the perfect addition to your kitchen. One lucky winner will soon be cooking up a storm as we have one fantastic Hotpoint class 4 SI4 854 H IX electric single built-in oven in stainless steel to give away! To find out more and to be in with a chance of winning just head to our Facebook, Twitter or Instagram pages to find out how you can enter our brilliant FREE competition. You can also buy online, use our Click & Collect service to collect from your local store in as little as one hour or ask your local store about a demo or viewing our Hotpoint range.